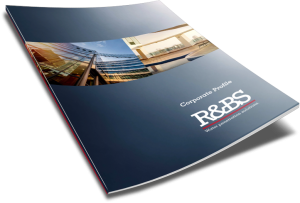 As the specialists in providing water penetration solutions for commercial buildings and facilities, R&BS is capable of providing you with the highest level of independent consultancy services. R&BS’s experienced and dedicated consultants will accurately identify any potential or existing design or workmanship issues, along with any other causes of water penetration issues, in any building or facility. They will then advise you on the appropriate remediation steps that are needed for your situation. Our water penetration consultants aim to help you avoid the continuous cycle of having to complete lesser quality jobs that will, over time, result in considerable outlay. We will always advise you on what needs to be done immediately to prevent water penetration and what can wait, so that scheduling of works can occur in order of priority. R&BS works closely with remedial engineers and architects as specialised consultants, to scope out remedial solutions to roofing and waterproofing issues. During refurbishment projects for commercial and heritage listed buildings, engineers and architects often encounter issues that don’t fit within the manufacturers’ product & specification guidelines. In such cases, R&BS’s specialised water penetration consultancy service can assist. We can assist with the design and specification of roofing and waterproofing details for new projects; extensions to existing structures; and any unique issues which may arise in these areas. For a customised quote for your business or premises, call R&BS now on 1800 550 037 or fill out the contact form below for a fast response.